With 14 daily flights between Dublin and London Heathrow, commuting between the two capital cities has never been easier. Fly direct from Dublin Terminal 2 to Heathrow Terminal 2. Enjoy great value, frequent flights and excellent connections to the city centre. It’s simple to travel to central London from Heathrow. You can take the National Express (pickup points are stationed outside terminals 1, 3, 4 and 5). You can also find the 24 hour bus station between terminals 1, 2 and 3. Research Heathrow Central Bus Station online, or check bus times at the travel centre, which is open from 6.00 to 22.30. 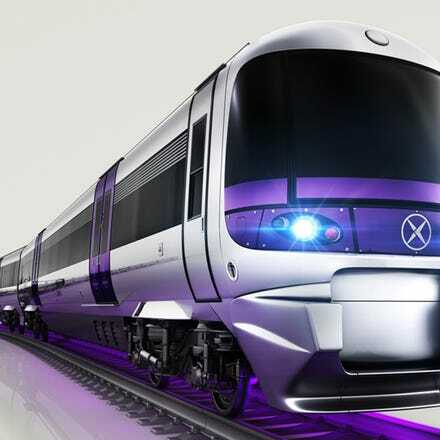 A faster option is the Heathrow Express. The non-stop trains run every 15 minutes to Paddington, taking 15 minutes from Terminals 1 and 2, and a little longer from Terminals 4 and 5. There’s also the Heathrow Connect, which takes around 30 minutes to reach Paddington station. You could also opt for a taxi (this will cost around £50 to £80 in a metered black cab). Every single second of your time is precious. That's why we've crafted a seamless, stress-free travel experience for every single guest who flies between Dublin's Terminal 2 and Heathrow's Terminal 2. Save time every step of the way across the Aer Bridge. When you land, jump on the Heathrow Express and get to Paddington Station in 15 minutes flat.